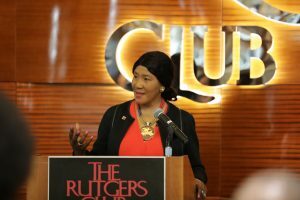 The Annual Meeting of the Executive Committee and Membership of The Rutgers Club is scheduled for Monday, May 6th at 4:30pm. All members are welcomed. Please join us on May 19th to celebrate your big day. Reservations are available. Call today to enjoy our Commencement Day Buffet for only $35 per person. The Rutgers Club is located on the second floor of Livingston Dining Commons in Piscataway. Founded in 1957, the original location on College Avenue was one of New Brunswick’s historic houses built in 1915. It was originally owned by Ernest Webb until 1956. At that time, the University purchased the house and the Rutgers Club moved in. Members enjoy special culinary delights and programming in a unique collegiate and charming atmosphere. The Rutgers Club has reciprocity with over 100 university clubs throughout the world. 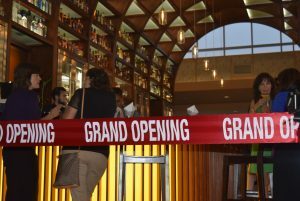 The Rutgers Club has the capacity to seat over 140 people for a wedding, anniversary, or other special occasion or up to 300 for a cocktail style event. Also, there are several smaller banquet and meeting rooms available. Call the Rutgers Club for more information. Visitors to the university are welcome to eat at the Club, but due the limited seating availability during our renovation they are encouraged to make reservations.